On the 12th of January 2015, the Apache Software Foundation (ASF) announced that Apache FlinkTM (an open source distributed data analysis engine for batch & streaming data) has graduated from the Apache Incubator to become a Top-Level Project (TLP). The origins of Apache Flink can be traced back to the 2009 DFG (Deutsche Forschungsgemeinschaft) funded, Stratosphere Research Project . Spearheaded by Prof. Volker Markl, Head of the Database Systems & Information Management (DIMA) Group at TU Berlin & Director of the Intelligent Analysis for Massive Data Research Group at the German Research Center for Artificial Intelligence (DFKI), in conjunction with TU Berlin, Humboldt University of Berlin, and Hasso Plattner Institute (HPI) Principal Investigators/Researchers, the Stratosphere Project conducted R&D to explore the power of massively parallel computing for complex information management applications. Their joint collaboration enabled the development of a novel, database-inspired, massively parallel data processing system. Their success lead several DIMA researchers to launch, dataArtisans, a Berlin-based startup committed to growing the Flink code base and community, all the while ensuring that Flink is entirely (100%) freely available as open source. This success story serves as a testament to the industriousness, passion, and a spirit for technological innovation that is fostered among all DIMA Group members. 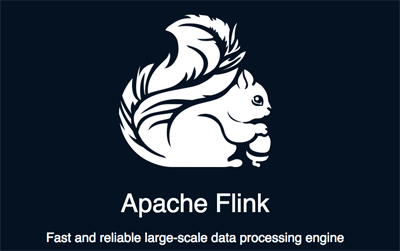 Apache Flink is also the technological foundation of the Berlin Big Data Center (BBDC), whose objectives include performing groundbreaking R&D, training the data scientists of tomorrow, and creating solutions that facilitate conducting a deep analysis of massive amounts of heterogeneous data sets and streams at high velocity.